Project Size: 95,317 sq. ft. 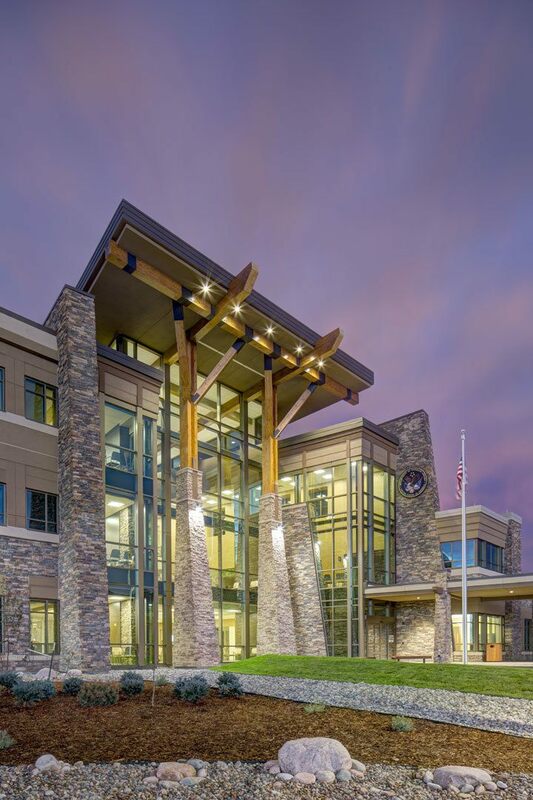 This LEED Silver-certified Veterans Affairs outpatient clinic was named after Colorado Springs resident, PFC Floyd K. Lindstrom, a World War II Medal of Honor recipient. 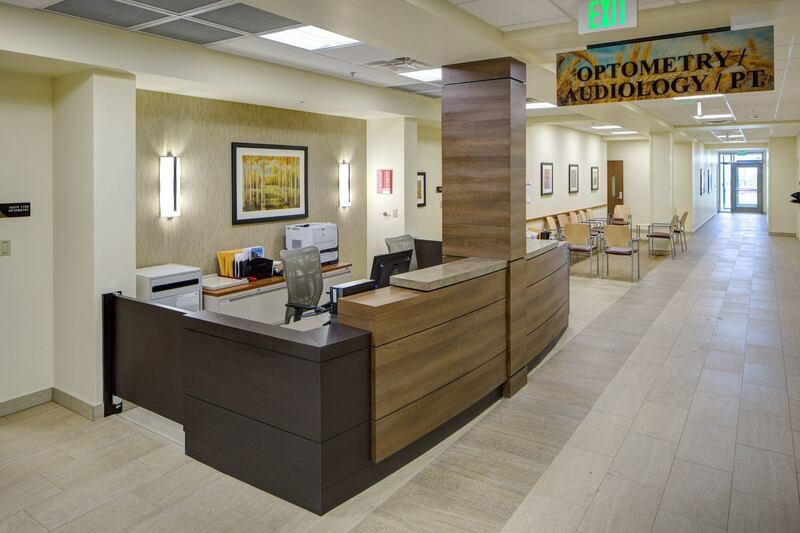 The clinic design leverages evidence-based design research and industry best practices. The Colorado-ski lodge-inspired interior features a richly colored, warm and inviting three-story atrium. A stone fireplace is located off the main entry and is intended to add warmth and comfort to the waiting areas. The ski lodge aesthetic is accentuated by a focus on connection with the outdoors through daylight, open space, skyscapes, and mountain views of Pike’s Peak. Wayfinding is oriented through a three-story soaring atrium to all services. 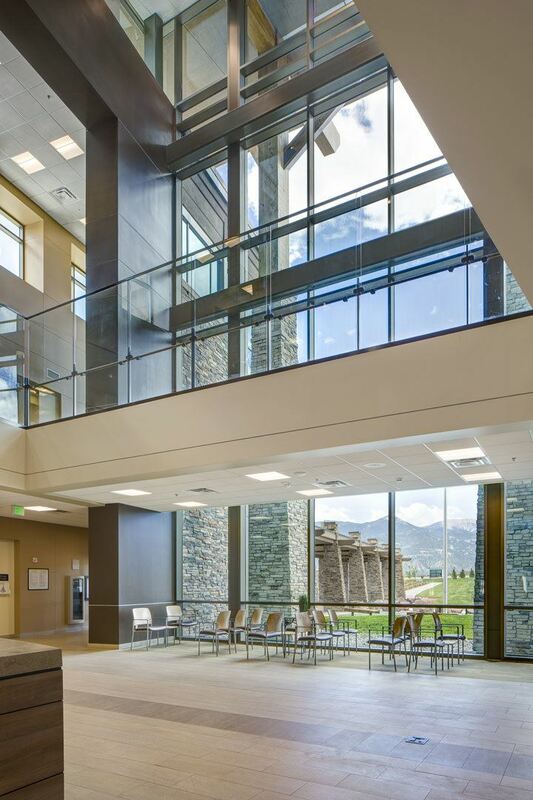 The public space, which features sunlight and mountain views, creates a living room for gathering, dining, socializing and healing. 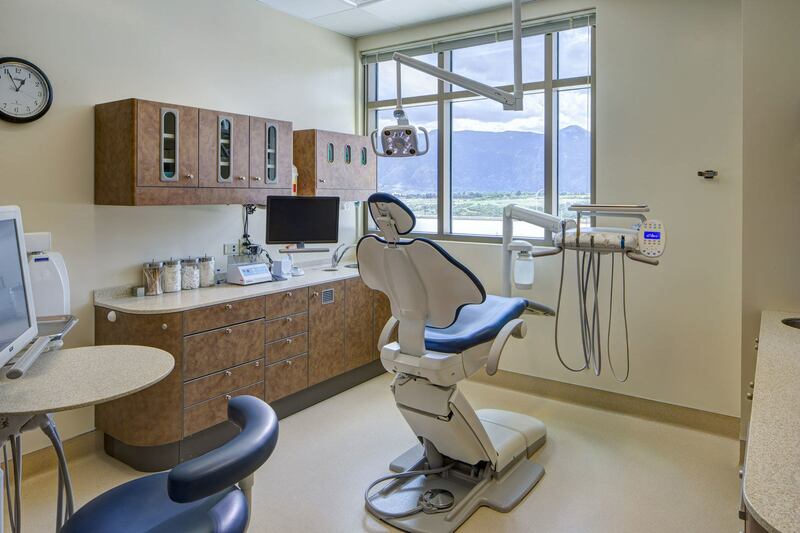 Concierge and kiosk functions allow patients to access all necessary healthcare needs including dermatology, optometry, dental care, mental health, nutrition, physical therapy, and specialty clinics including women’s services, diagnostic, and financial assistance. 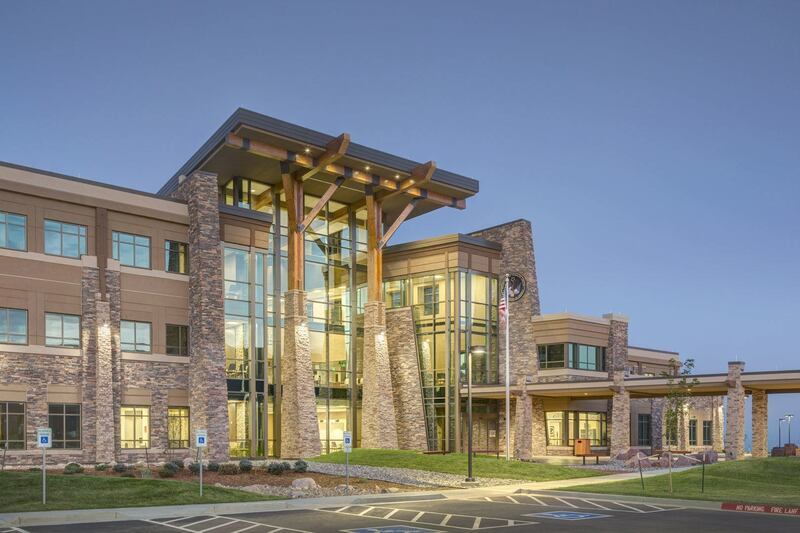 The project won two awards for design excellence from the Design-Build Institute of America.